Excel TEXT function can be used when you want to convert a number to text format and display it in a specified format. It returns text in the specified format. value – the number that you want to convert into text. 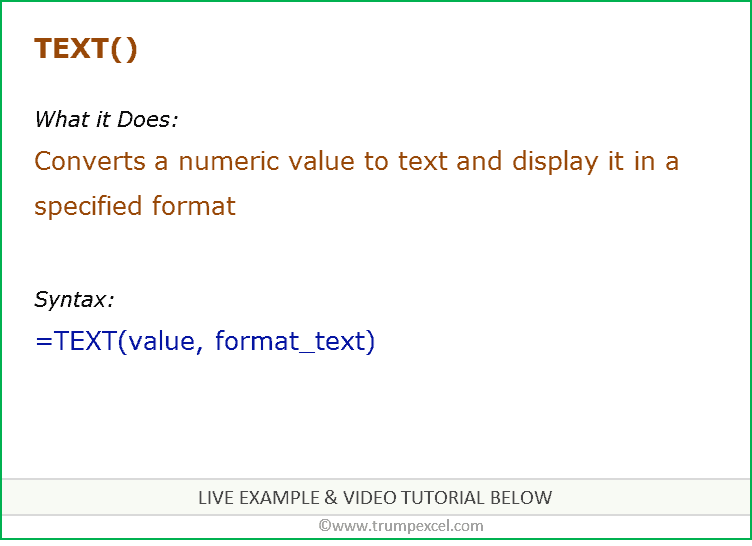 format_text – the format in which you want to display the number. This is a useful function when there is a need to show numbers in a format, or a need to combine numbers with text/symbols. The numbers are converted to text, and hence can not be used in calculations. If you need to use these numbers in formulas/calculations, use custom number formatting.